This is a new section of our website where we will feature different beautiful semiprecious gemstone beads on each of the articles. We have spent over 14 years finding the best high-quality semiprecious gemstone beads. Kyanite is a beautiful blue semiprecious gemstone bead. Kyanite is a mineral found mainly in aluminum rich metamorphic rocks. Our Kyanite Semiprecious Gemstone Beads are very high quality Gemstone Beads. Each of our Kyanite Semiprecious Gemstone Beads are polished to a smooth finish. 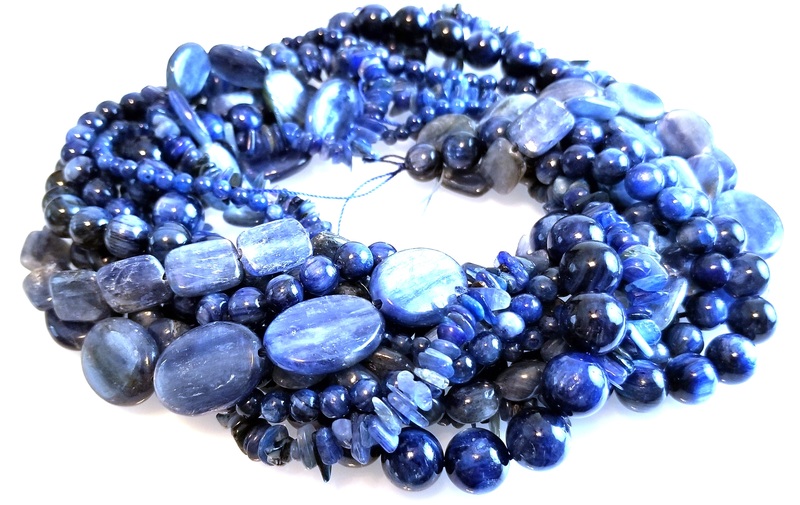 Each Kyanite Semiprecious Gemstone Bead has its own unique combination of pattern and color. Kyanite has many industrial uses that require a high temperature mineral such as electronics and spark plugs. Kyanite is often considered a stone of balance and understanding. Kyanite has a Mohs Hardness of 4.5 - 7.0 and is a translucent stone. Malachite is a beautiful green semiprecious gemstone bead. Malachite is a copper carbonate hydroxide mineral and is banded stone. Our Malachite Semiprecious Gemstone Beads are very high quality Gemstone Beads. Each of our Malachite Semiprecious Gemstone Beads are polished to a smooth finish. 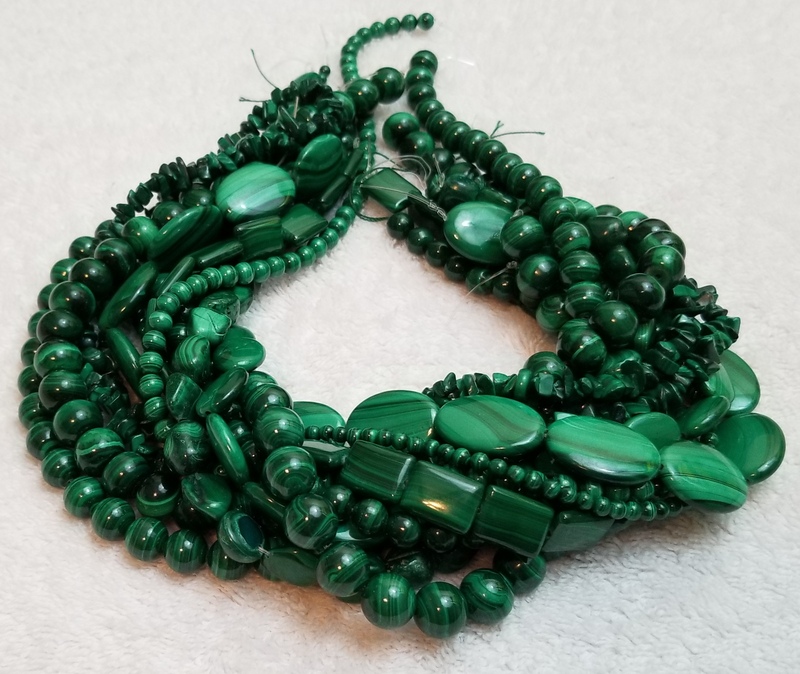 Each Malachite Semiprecious Gemstone Bead has its own unique combination of pattern and color. Malachite has a history that goes back thousands of years and for a long time it was mined and smelted down to make copper. Malachite has a Mohs Hardness of 3.5 - 4.0 and is an opaque stone. 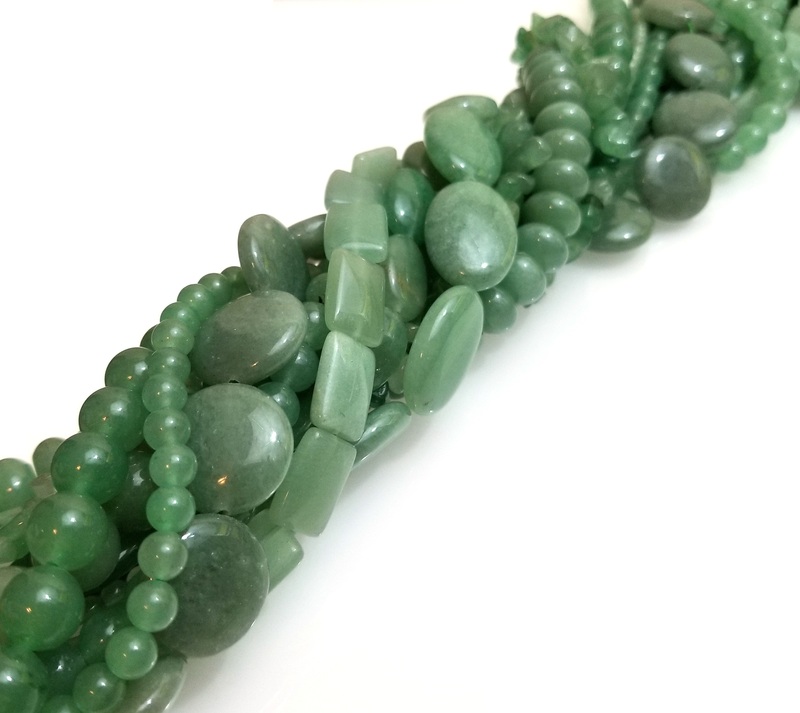 Aventurine is a beautiful green semiprecious gemstone bead. Aventurine is a type of Quartz and can be very light or pale green to very dark green in color. 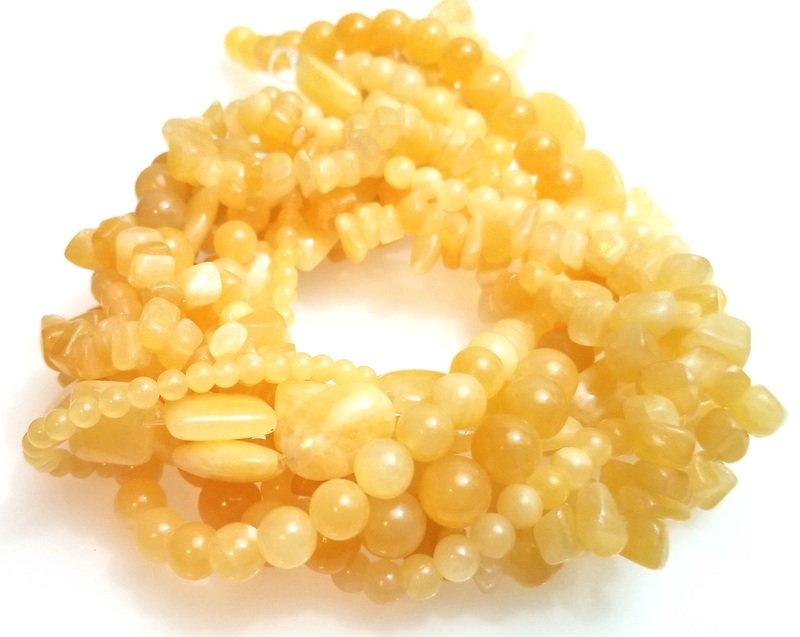 Our Aventurine Semiprecious Gemstone Beads are very high quality Gemstone Beads. Each of our Aventurine Semiprecious Gemstone Beads are polished to a smooth finish. Each Aventurine Semiprecious Gemstone Bead has its own unique combination of pattern and color. Aventurine is considered by many to be a stone of good luck. Aventurine has a Mohs Hardness of 6.5 and is a transparent to translucent stone. Sodalite is a beautiful blue semiprecious gemstone bead. Sodalite often has white or cream colored veining. Our Sodalite Semiprecious Gemstone Beads are very high quality Gemstone Beads. Each of our Sodalite Semiprecious Gemstone Beads are polished to a smooth finish. 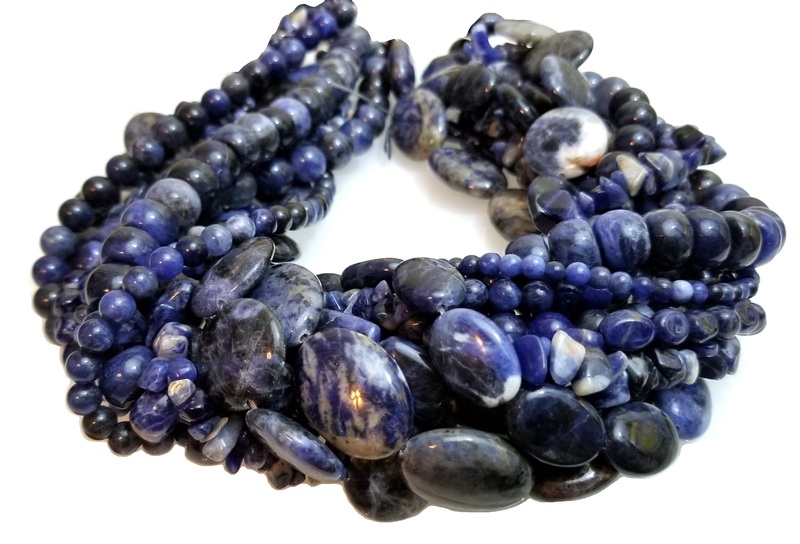 Each Sodalite Semiprecious Gemstone Bead has its own unique combination of pattern and color. Sodalite is considered by many to be a stone of rational thought and calmness. Sodalite has a Mohs Hardness of 5.5 - 6.0 and is an opaque stone. Rhodonite is a beautiful pink semiprecious gemstone bead. Rhodonite often has black veining that is Manganese. Our Rhodonite Semiprecious Gemstone Beads are very high quality Gemstone Beads. Each of our Rhodonite Semiprecious Gemstone Beads are polished to a smooth finish. 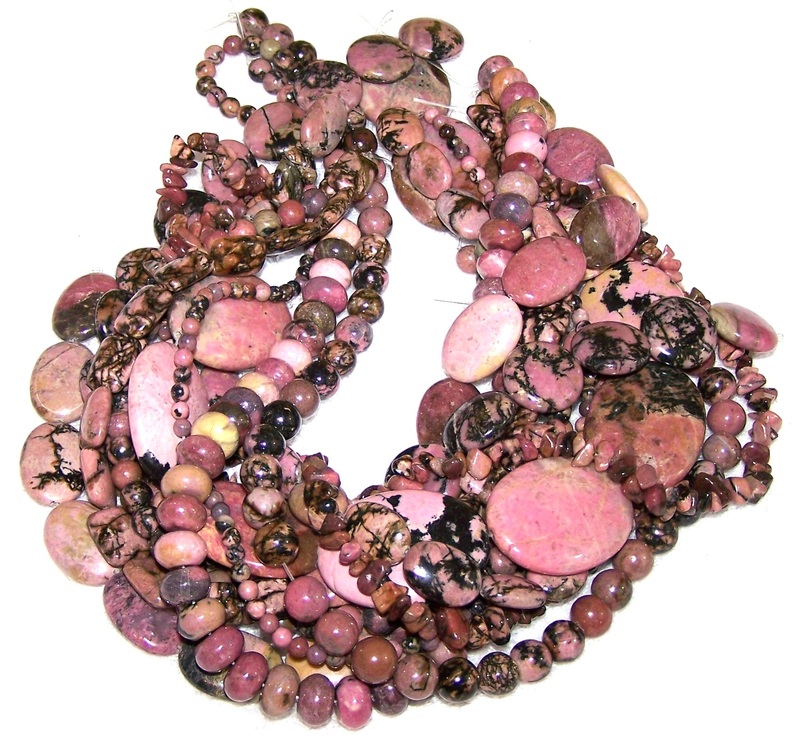 Each Rhodonite Semiprecious Gemstone Bead has its own unique combination of pattern and color. Rhodonite is considered by many to be a stone of emotional healing. Rhodonite has a Mohs Hardness of 5.5 - 6.5 and is an opaque stone. Amethyst is one of our most popular semiprecious gemstone beads. Our Amethyst Semiprecious Gemstone Beads are very high quality Gemstone Beads. Each of our Amethyst Semiprecious Gemstone Beads are polished to a smooth finish. Each Amethyst Semiprecious Gemstone Bead has its own unique combination of pattern and color. Amethyst is a type of Quartz that is purple in color. Throughout history, Amethyst has been associated with wealth and luxury. Amethyst has a Mohs Hardness of 7 and is a transparent to translucent stone.